New this year! While Ann Patchett is most noted as the best-selling author of books such as This Is the Story of a Happy Marriage, Bel Canto, Run, and State of Wonder, she is also widely recognized as co-owner of Parnassus Books, a beloved independent bookstore in Nashville, Tennessee. As a local bookseller, Ann has embraced the opportunity to recommend books and authors to customers. 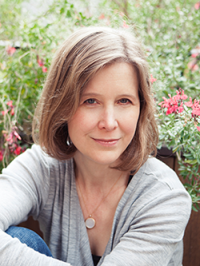 During the Ann Patchett Book Hour, she’ll bring to conference attendees in Indianapolis what she shares with shoppers in Nashville—an insight and knowledge into great books to read and unique authors to discover.